This is in no way an attempt to create any kind of quarterback controversy simply because it doesn’t exist and wouldn’t be fair because Trace McSorley is in a class by himself in Penn State history in terms of accomplishments, leadership and toughness. So when he’s healthy, the starting job for his remaining games as a Nittany Lion obviously belongs to him. But that should not be this week since it’s quite clear McSorley is not healthy. I am not a doctor. And because of James Franklin’s refusal to discuss injuries (other than to confirm a season-ending injury), there hasn’t been much new about McSorley’s knee. 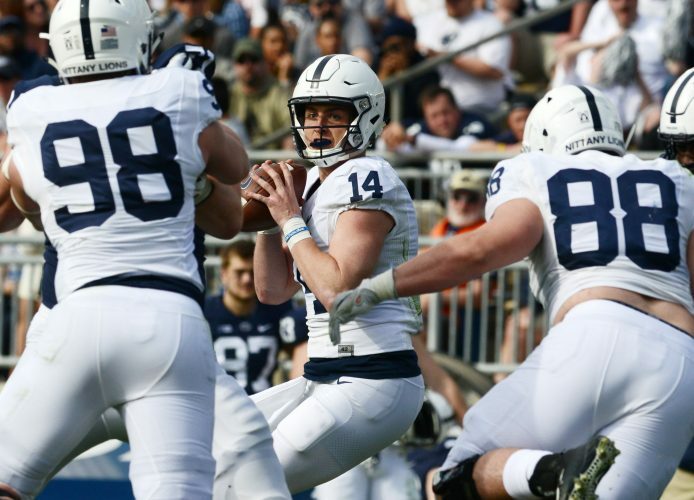 But this is what we do know: Because of an injury to his right knee suffered against Iowa, McSorley’s ability to run and throw was way different last week at Michigan than it’s been previously. He lacked explosion on the ground and accuracy in the air. At the end of third quarter, after he ran and was tackled, McSorley almost didn’t get up. And keep in mind that since Michigan’s methodical offense practically equates to a running clock, McSorley only played about 30 snaps — fewer than he ever has. Still, he was visibly limited. The coaching staff/Franklin compounded the mistake by re-inserting McSorley down 28-0 and again, in reckless desperation, down 35-0. We really don’t know that much about Stevens. Though he’s bigger than McSorley and may have a stronger arm, he seems too jumpy and ready to take off from the pocket. 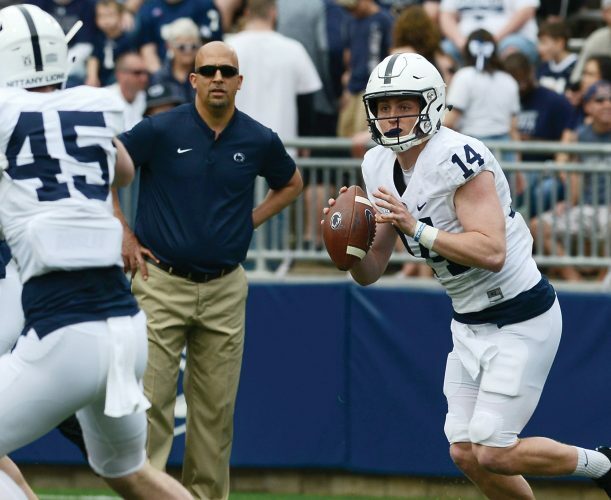 However, after Christian Hackenberg left and McSorley played well in the 2016 TaxSlayer Bowl, Franklin talked up Stevens through that spring and into fall camp. “You want to keep the competition going as long as you possibly can,” he said then. So Stevens was worthy enough then and has been a patient soldier in the 36 games since — so loyal that he passed up a chance to transfer this summer — and you’re going to run a guy out who is hobbled against Wisconsin, a traditionally rugged defense? At least for Saturday, I say start Stevens and see how it goes. Let Sean Clifford be the backup, and if you get into an absolute emergency, McSorley is there. Though the Nittany Lions are way out of Big Ten title contention, they can still finish with 10 wins. That has to be the mission. At the same time, Stevens gaining some playing time against a real opponent is quite valuable going forward. Make it a week-to-week proposition. Get through this game, preferably by not using McSorley (or maybe just a couple series, rather than 10). Cross the Rutgers and Maryland bridges as they come. Resting McSorley’s knee this week will help allow him to end the season upright. He deserves that — especially when senior day comes and then at a bowl game — and the team deserves to have a 100 percent healthy player at its most important position.